The Huffington Post bleats that the Gulf oil spill is a "wake-up" call to do something about the "rampant" global warming as if somehow they are connected. Every day a huge amount of oil is spewing into the Gulf of Mexico in the US. This is symbolic of the energy choices that we have made to date. And it shows the dramatic implications of that energy choice. But those energy choices are also having devastating impacts which are less visual but more damaging. Rampant global warming is impacting countries around the world as a result of our energy and development choices. The oil catastrophe is a wake-up call for the United States and should be a wake-up call for the world. We have a choice between a clean energy future or a dirty energy past. As countries end the most recent round of negotiations on an international effort to address global warming, they face the same choice. Do they choose to agree to implement a clean energy future or do they choose to have the same old stale debates hold us back. I hope that they choose the clean energy choice. Get the message - oil spill and dirty energy? Expect to hear much more along these lines as the AGW industry tries to boost faltering support. They don't have much time because another harsh Northern winter this year is on the cards! Julia's Honeymoon Shortest on Record- Shock Poll! Moral Decadence in The Suburbs! The Night of the Long Knives! Zero Emissions Plan Equates to Zero Common Sense! Unbelievable- Henry's New Tax Idea is Idiotic! Ocean Doomsters At It Again! Spain Solar - From Poster Child to Bete Noir! Chavez - Showing His True Colours! Rudd - Dead Man Walking! The Hoax uncovering Hansen's Hoax! Kevin Rudd in Crossfire as Polls Nosedive! 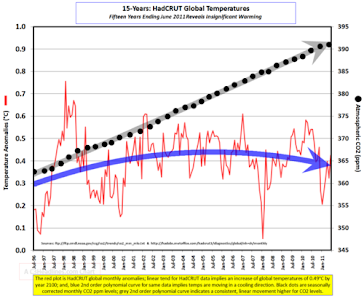 Another AGW Scare Bites the Dust! 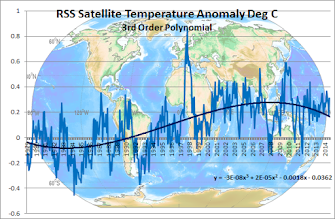 Met Office VS NASA for the Dunce's Cap!